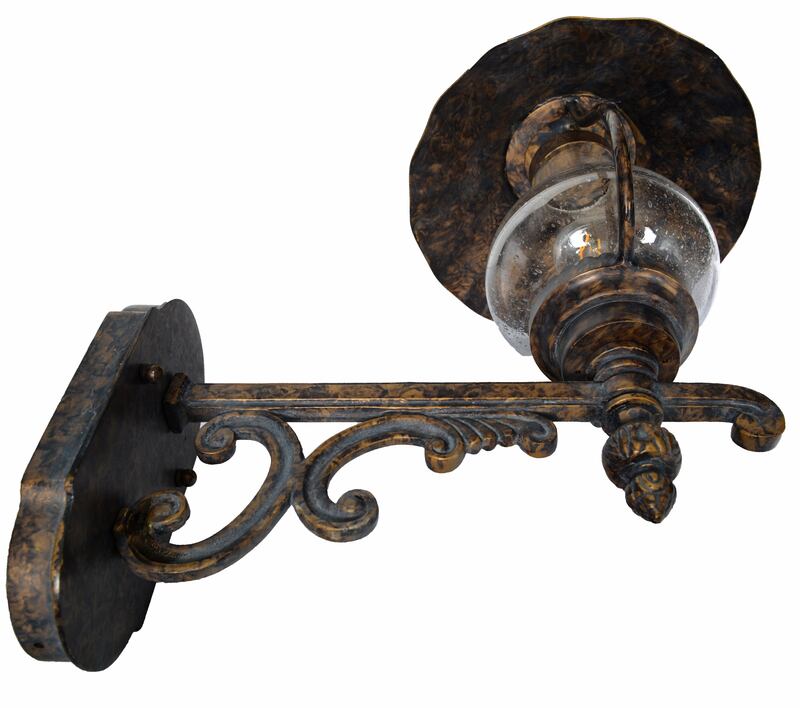 A arm shaped with graceful curves holds up this wall lantern. 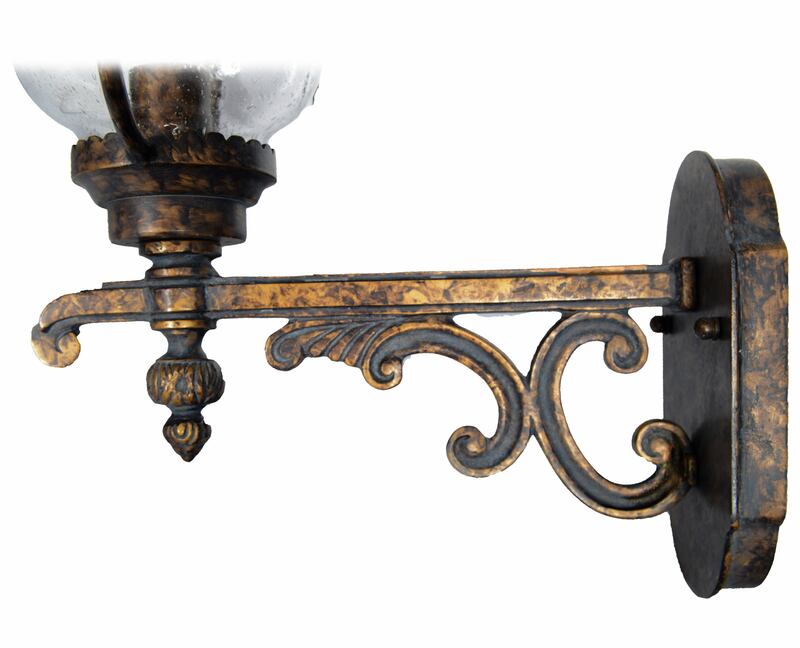 Subtle scallop details line the edges of this fixture. Dimensions—Length: 18.2", width: 12.3", height: 27.2"
This piece is so beautiful, the hubby surprised me with a surprise renovation of our house's front porch and this light was installed when I got back from my business trip! I could not be happier!